The product "BMW 320 Turbo Rodenstock winner Div.2 DRM Norisring 1979 Manfred Winkelhock" was successfully added to your wishlist. 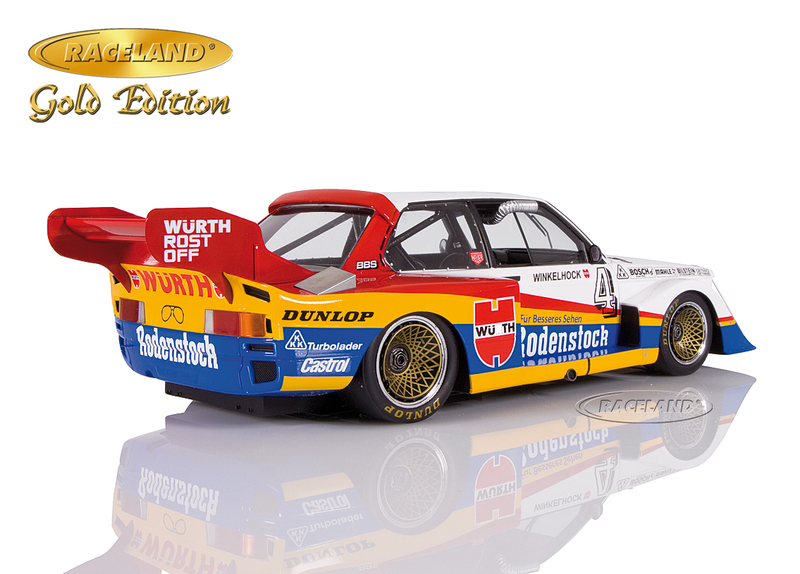 Raceland Gold Edition by Spark 1/18th scale. Limited edition of only 300 pieces, individually numbered. Raceland exclusive made by Spark. 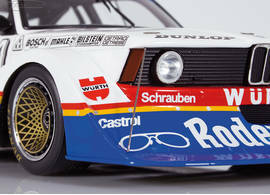 High quality resincast model car with photo etched parts 1/18th scale. Model size approximately 25 cm.Special packaging. 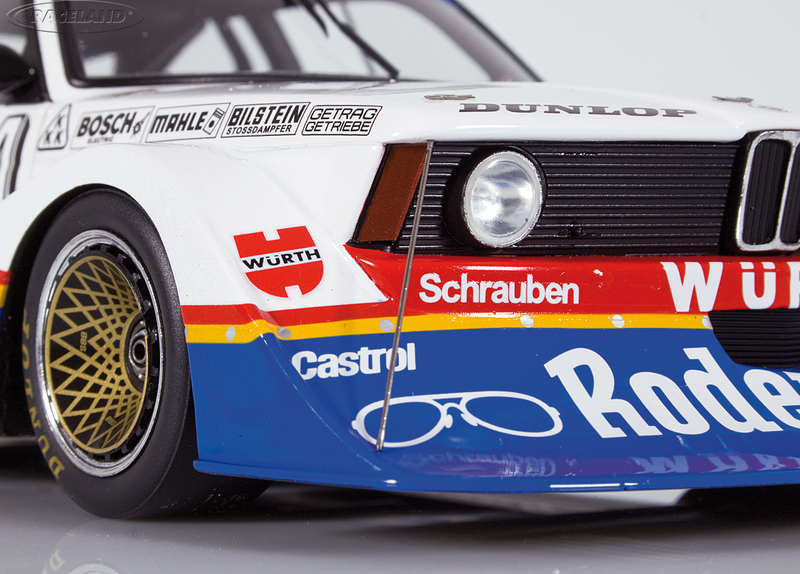 It was another fierce battle between Ford and BMW when the Division 2 cars came to the Nuremberg Norisring for round 6 of the German Rennsport Meisterschaft in 1979. The 1.4 litre four in line turbo engines had grown to more than400 hp by thenso a thrilling fight between Hans Heyer's Ford Zakspeed Turbo Capri and the BMW 320 Turbos of Markus Höttinger and Manfred Winkelhock was imminent. 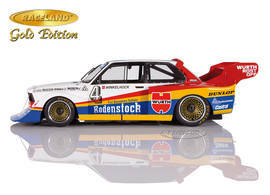 After pole setter Höttinger missed a gear in his Jägermeister BMW at the start Hans Heyer took the lead and built up a gap to the Rodenstock BMW of Markus Winkelhock. 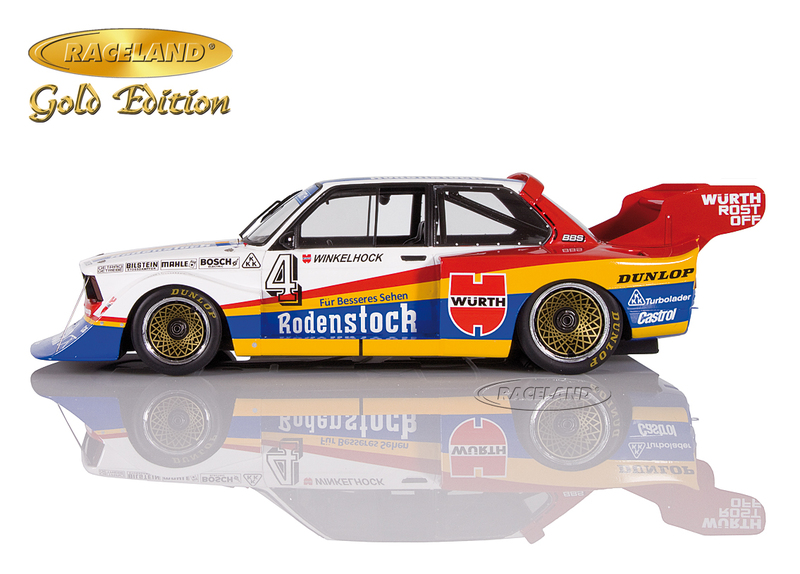 But the colorful BMW closed up on the Capri soon and Winkelhock tried hard to get by Heyer. 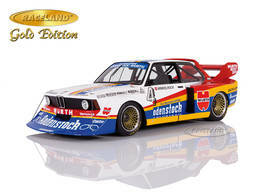 Yet it took another broken Ford distributor to eliminate Heyer and give way to a 1-2 BMW victory with Manfred Winkelhock ahead.